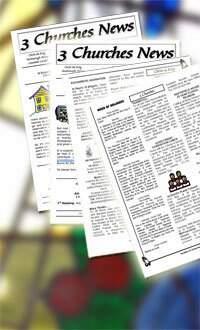 The 3 Churches Newsletter is published every weekend. It is distributed through our churches, or may be received by email. In addition you can download and view the newsletter from this website each week.